Particle Works – the nano- and microstructured material specialist – has developed magnetic nanoparticles offering superior performance and physical characteristics. The particles are composed of cobalt protected by a thin shell of iron oxide, offering up to five times the performance of other commercially available products. Supplied with a choice of functional coatings, they are suitable for organic and aqueous solvents, as well as for functionalization with, for example, antibodies. Drawing on the Blacktrace group’s expertise in microfluidics, Particle Works magnetic nanoparticles are precision manufactured using continuous flow techniques to offer very narrow size distributions and low batch-to-batch variation. Each product is supplied with full characterization data, simplifying data analysis and offering enhanced process security for applications in the diagnostic imaging, pharmaceutical, biomedical and industrial sectors. 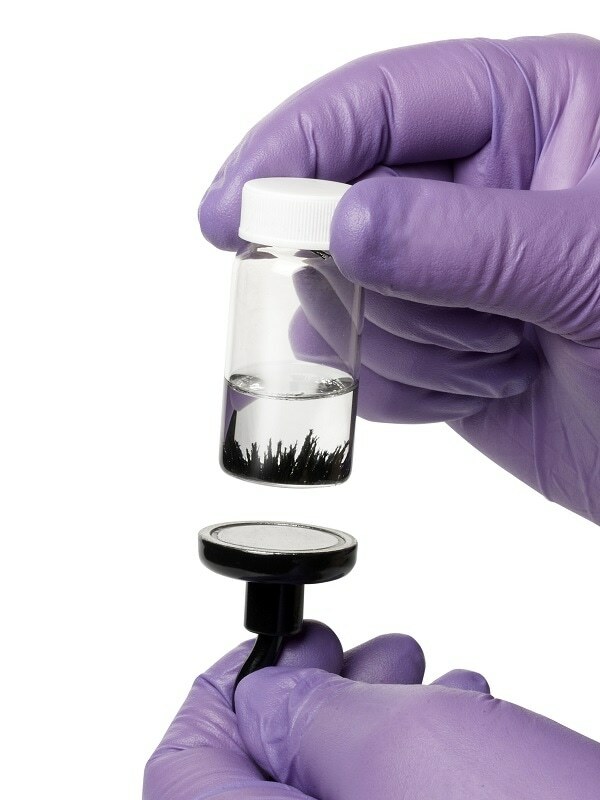 Backed by Particle Works’ quality guarantee and expertise in nanomaterials, the company’s magnetic nanoparticles are ideally suited to proof of principle, materials optimization and scale-up studies.